In 1980 a group of choral music lovers decided that Guelph needed a new choir dedicated to singing the finest works of the repertoire with skill and musical sensitivity. Our first performance on December 7, 1980 featured twenty-six singers in front of an audience of nearly two hundred at Harcourt Memorial United Church. Conductor Gerald Neufeld has led the choir for all but two years of its history when Kathryn Laurin ably took the baton. Over the years our ranks have swelled and our talents deepened. Now at forty voices strong we still hold close to the ideals of chamber singing: lightness and clarity of tone, subtle blending of developed voices, and clear communication of the meaning and spirit of both text and music. Singers in the Guelph Chamber Choir represent various walks of life; their common bond is to foster community enjoyment and appreciation of choral music through performances, outreach, artistic collaboration, and community partnerships. We remain an integral part of the strong musical heritage of Guelph. Our performances include repertoire from Renaissance masters to contemporary composers, from classical styles to Broadway and vocal jazz, and from unaccompanied choral gems to masterworks with full orchestra. We often collaborate with other choirs from across Canada and within our own community. We have participated in festivals throughout Ontario and have toured Great Britain, Ireland, Germany and Sweden. Our success has been recognized through a number of broadcasts on national radio and prizes in the CBC National Competition for Amateur Choirs. A choir is much more than an ensemble of talented musicians who meet each week to strive to perfect their art. In many ways it is a “family” of people who share a common interest in bringing the beauty of choral music to the broader community. It has been my privilege to have shared the art of choral singing together with the family of singers we call the Guelph Chamber Choir since its inception in 1980. Growing up in Alberta, where singing in four-part harmony was learned by everyone in our small Mennonite circles, I experienced choral singing as an integral part of our social fabric. A yearly provincial “songfest” was a major inspiration for my life-long love of choral music. It was where I became acquainted with the great oratorio literature through the excerpts that were performed. Playing trumpet in the Edmonton Cosmopolitan Band during my high school years was another cherished experience, providing the deep satisfaction that a good ensemble can bring to a young person’s life as well as the enrichment of the social interaction with other musicians. After undergraduate studies in music in Manitoba, where I studied choral conducting, sang in a variety of choirs, played in a community orchestra and performed in an opera chorus, I spent four years studying choral and orchestral conducting at the Nordwestdeutsche Musikakademie in Detmold, Germany. Returning to Canada, there was a year spent taking music education courses at the University of Western Ontario before I was offered a part-time position at the University of Guelph in 1978. Conducting the University of Guelph Choir was a wonderful experience that included choir tours to Ontario and Quebec as well as two overseas tours organized by Murdo MacKinnon with concerts in England, Wales, Scotland, Germany and Sweden. After two years of graduate studies at the University of Iowa (Doctor of Musical Arts Degree), I came back to teach at the University of Guelph for six more years before accepting a position at the University of Western Ontario in 1991 where I continue to enjoy teaching choral conducting to graduates and undergraduates as well as conducting choirs such as the Thames Scholars and the UWO Singers. Teaching our future educators and singers at Western continues to be a very rewarding experience, and I have been able to continue my life-long interest in historical performance practice conducting the Thames Scholars within the context of the Early Music Studio. Conducting this ensemble of 12 to 14 talented singers, while exploring historically informed performance practices, has been a delightful way to explore new modes of singing music of the 15th to 19th centuries in an expressive manner. 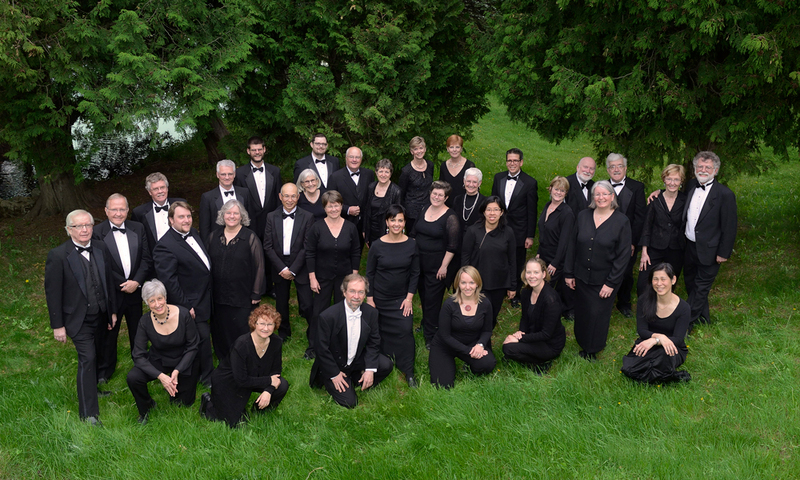 The Guelph Chamber Choir has been the constant element in my love of choral music since 1980. Together we have grown as an ensemble over the years; experienced the thrills of performing major choral works together with very fine soloists and orchestral musicians; savoured the pleasures of hundreds of choral gems; made the acquaintance of new music; travelled to European lands to marvel at the sound of the choir in cathedrals and concert halls; seen the pleasure that singing in seniors’ homes in Guelph brings to those who can no longer leave their home-away-from-home to attend concerts. We have enjoyed the camaraderie of songfests with other community choirs and we have experienced the joys and disappointments of winning and losing CBC national competitions. The immense satisfaction of performing in the Toronto International Festival as well as festivals in Austria and the Czech Republic has been ours to savour. I will always cherish the memories of performing in the Mozarteum in Salzburg, the grand ballroom of the Bishop’s Palace in Kroměříž in the Czech Republic (location of the filming of “Amadeus”) and in cathedrals and concert halls in places like Limerick, Amsterdam, Lübeck, Copenhagen, and Halmstad in Sweden. 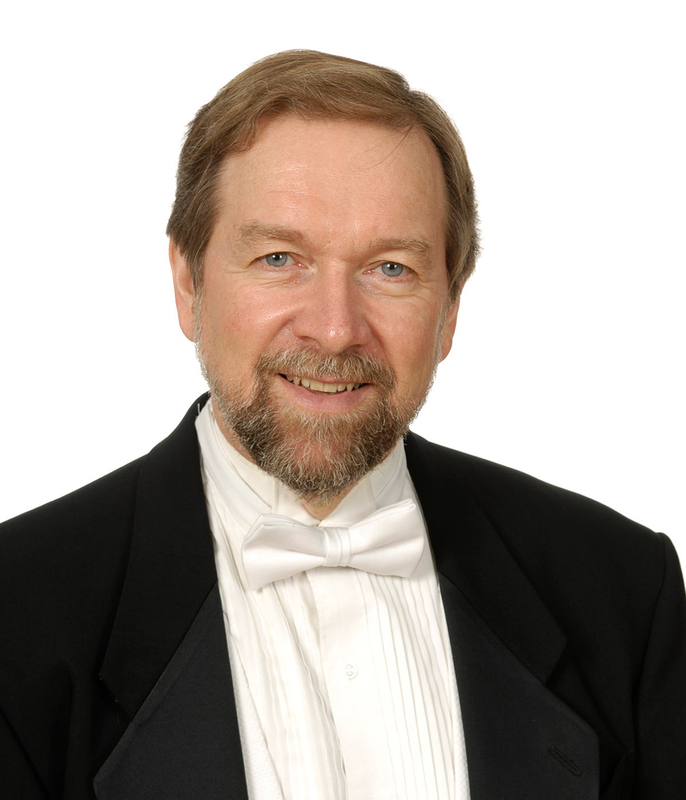 I have also had the privilege of adjudicating choral competitions in Kiwanis Festivals in Ontario and vocal competitions such as the Guelph Spring Festival’s national competition and the classical category of Canada’s Juno Awards. Engaging young Canadian soloists to perform with the Guelph Chamber Choir has been a gratifying experience. These have included internationally acclaimed singers such as Ben Heppner, Michael Schade, Kevin McMillan, John Tessier, Kristina Szabo, Jennie Such, Collin Ainsworth and others who have performed with the GCC in the early stages of their careers. The GCC and I have been privileged to give many performances with an orchestra of specialists on period instruments engaged by Joe Lanza, the concertmaster. The care and expressiveness with which these players accompany singers is truly inspiring, and their high degree of professionalism does nothing to diminish their obvious delight in performing great musical works together with us. I continue to be inspired, challenged and delighted in my work with the Guelph Chamber Choir. My hope is that it will continue to nurture the arts in our community for many years to come, along with the many other musical organizations that Guelph enjoys. Alison MacNeill is a graduate of the University of Guelph and of the Royal Conservatory of Toronto. Born in Guelph, she returned to the area to live and work following graduate work at the University of Western Ontario, where she had studied piano and theory with Ronald Turini and Richard Parks. Alison is a busy freelance accompanist and chamber musician, and has been, at various times through the years, pianist for the University of Guelph Choir, the Elora Festival Singers, the Guelph Youth Singers, and the Rainbow Chorus of Waterloo-Wellington, as well as with many other ensembles and soloists. 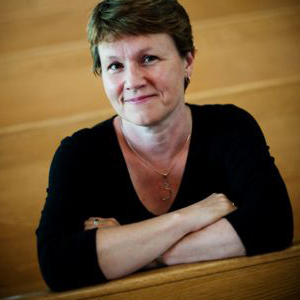 She maintains a large teaching studio and is the Director of Music Ministry at Harcourt Memorial United Church, a position she had held since 1988. She has been the accompanist for the Guelph Chamber Choir for about twenty years, frequently performing and touring with the ensemble. She is featured on two previous CDs of the choir: Songs of the New World, and Goode Cheare.